Villa Demak is an ornate restoration of traditional family home that once stood in Kabupaten Demak. 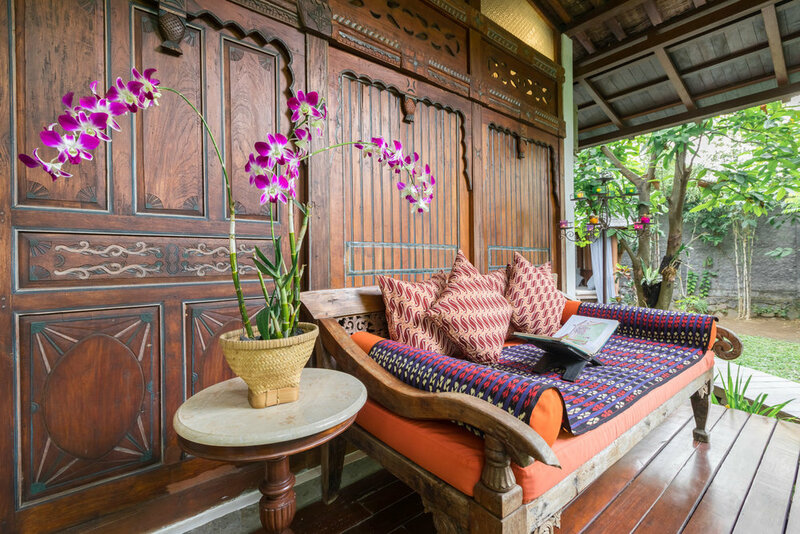 The beautifully hand carved teak woodwork is exceptional, as are the vintage antique tiles throughout the living area and private dining room. This honeymoon extravaganza boasts an extra large granite bath tub, and a bedroom that looks out to a private garden.